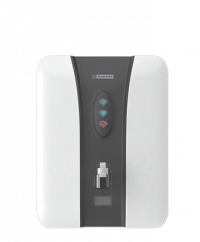 This blue star eleanor RO water purifier has double layered RO + UV protection. It comes with 6 stage purification process which pre-filter, pre-carbon Filter, sediment filter RO membrane post-carbon filter with ATB UV lamp. To Recieve updates and possible rewards for Blue Star Eleanor RO please sign in. To Recieve updates and possible rewards for Water Purifier please sign in.